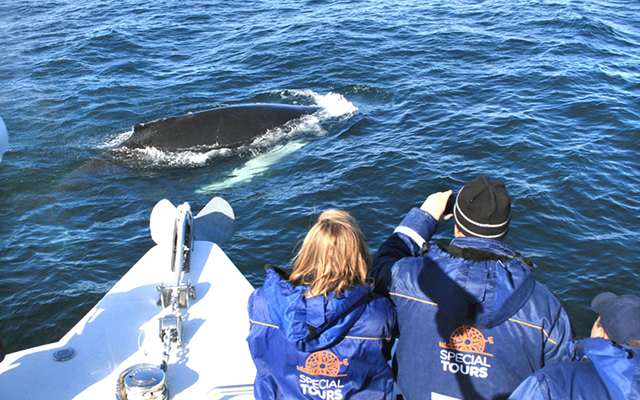 Our partners at Special Tours offer the choice between a classic 3-3,5 hour whale watching tour on the largest whale watching boat in Iceland or an express tour on the fastest whale watching boat that is 2-2,5 hours from the old Reykjavik harbor. You can choose between staying on the deck or sit inside a comfortable sight seeing area with large windows if the weather is chilly. 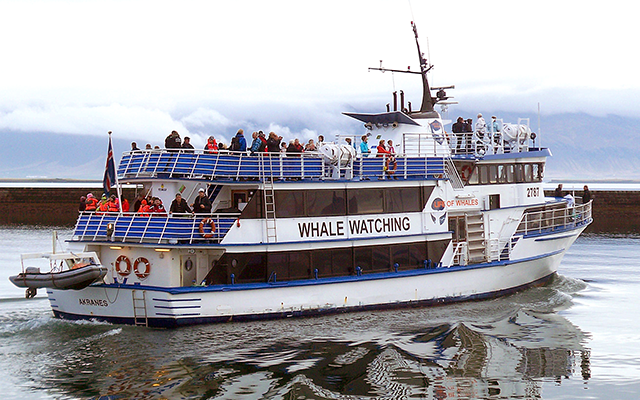 If there are no whales to be seen you get another tour for free. At summer the morning tours at 09:00 or 10:00 are the perfect start to your day and fits nicely with Sterna Travel´s Golden Circle in the Afternoon tour starting at 13:00 from the Harpa music and conference hall by the waterfront. You will be back at the pier between 12 and 12:30. A great start for your Iceland holiday. During winter the tour leaves on occasion from harbors within 60 minute driving distance from Reykjavik. Those instances are weather related and you will be driven to and from the neighboring harbor. When the tour goes from other ports in winter, the time might go up to 5 hours. 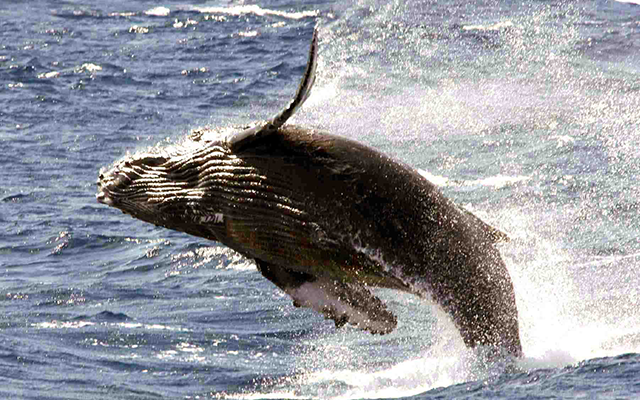 Whale species in the area are mostly: Minke Whales, Harbor Porpoises, White-Beaked Dolphins and occasionally the great Humpback Whale. Other species are less frequent part of this Iceland holidays traditions.